A driver of the stolen vehicle was the cause of Car Accident which injured four kids that were in an another vehicle. The driver of stolen Toyota crashed into another vehicle which was driven by a mother who had four of her daughters with her. The kids were taken by an ambulance to a near by Hospital and the driver who caused the accident ran away from the scene on foot. To see a Hayward Chiropractor would the next step after an Emergency Room. It is a standard practice for insurance companies to have no liability coverage for stolen cars. Only person who was authorized to drive the vehicle by owner is going to have a liability coverage. This particular car accident does not cover mother and her four children for pain and suffering, chiropractic rehabilitation and an ambulance bill. I hope that the lady had medical payments or uninsured motorist under her policy. Medical payments coverage covers any medical related expenses after car accident up to whatever the limits are and regardless whose fault it was. Uninsured motorist coverage is for cases like this one when the driver at fault does not have insurance and was the cause of this accident. If this lady has adequate uninsured motorist coverage all of the medical bills will be paid in full. Uninsured motorist policy is good for cases when the vehicle is being operated without insurance, hit and run drivers, and stolen vehicles. The uninsured motorist coverage will pay for a complete chiropractic rehabilitation, ambulance trip, hospital E.R. visits, loss of pay at work, and pain and suffering recovery. One must know that this coverage is limited to the amount the cover was purchased. I see way too many people in my Hayward Chiropractic Clinic who get into car accidents when it was not their fault. Often time these injured people do not have uninsured motorist policy under their liability insurance and the person who caused the car accident does not have insurance at all. It is a very unfortunate situation. If you are reading this post check your policy right now. Adding uninsured motorist your policy is not going to cost you arm a leg. We are probably talking extra $100 a year or so. Also add medical payment coverage to your policy as well. If for some reason you got into a car accident and it was your fault and you sustained soft tissue injuries, your medical payment coverage will cover all of the medical expenses. Again, $5000 medical payment coverage will cost you about $100 a year or so. 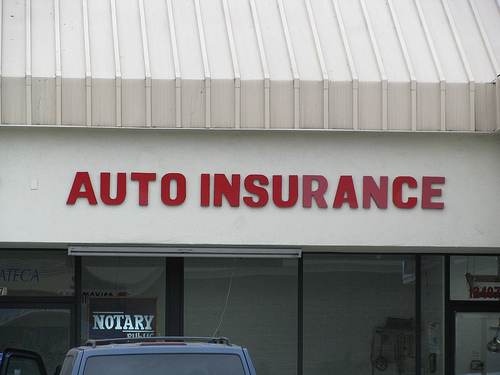 This is the best part of your automobile coverage. DMV of California reported that about 1.3 million people are driving without insurance in this State. That is a lot of people. As US economy gets worse and more and more people still can not find jobs this situation is only going to increase. For the sake of your own health and those who are being passengers in your vehicle I strongly recommend that you get uninsured motorist coverage or medical payments coverage. It is a great idea to take a look at your declaration page and check the limits of your coverage.